The celebrated orchestra conductor gets ready to 'wow' again at SPAC. As a child, I had a bird’s-eye view of the Metropolitan Opera. In 1962, I was exploring the hidden passageways of the old Met, when famed soprano Leontyne Price lost her voice during La Fanciulla del West, and my father, the house doctor, had to prescribe her vocal rest. I was at the about-to-open new Met in 1966, when, during the dress rehearsal for Antony and Cleopatra,she had to be extracted from a malfunctioning pyramid. 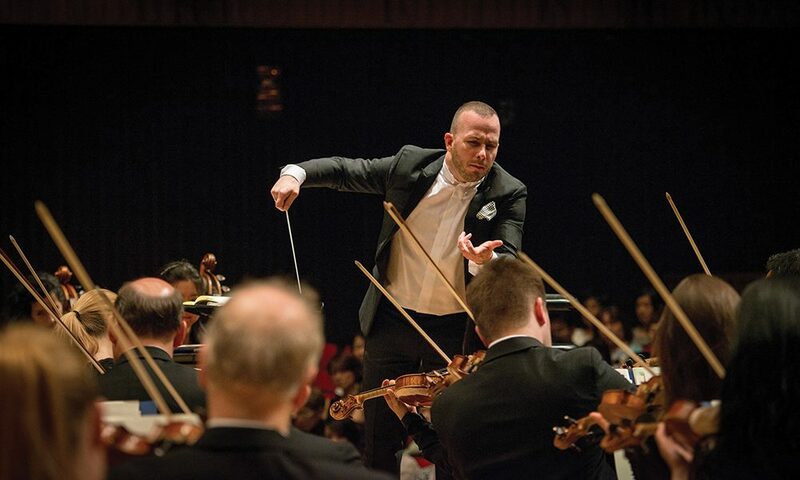 I promise not to jinx the Met’s Music Director designate, Yannick Nézet-Séguin, when he brings his home-team Philadelphia Orchestra to perform at the Saratoga Performing Arts Center (SPAC) August 8-28—a commitment that preceded the Met’s staggering announcement, last winter, that he’d been appointed successor to James Levine. Although Nézet-Séguin has already begun advising and brainstorming, he won’t officially assume the Met’s reins until the 2020-21 season, his plate being already quite full. Make that plates: He’s accustomed to spinning plenty at the same time. Staggered directorships have him overseeing not just the Philadelphia Orchestra (for whom SPAC’s amphitheater was built, to Eugene Ormandy’s specifications, in 1966), but the Orchestre Métropolitain De Montréal (Nézet-Séguin’s birthplace, a mere 43 years ago) and the Rotterdam Philharmonic Orchestra in the Netherlands. Conducting, recording, teaching, inspiring…he maintains a dizzying world-orbiting schedule that seems nothing short of superhuman. Nézet-Séguin clearly thrives on the challenge, and SPAC is one residency he wouldn’t want to miss. Although he’s conducting half of the performances, relatively speaking, it’s a vacation for him. Glancing at Nézet-Séguin’s grueling schedule, a house doctor might advise some R&R. Rest may not be the maestro’s forte, but in Saratoga Springs, with its medicinal waters, relaxing spas and panoply of enticing restaurants to sample, recreation is pretty much guaranteed.